Satellite Research, Development and Operation Directorate, being one of the directorates under the Aeronautics and Astronautics Research Center, has a leading role in the support and coordination of national satellite development projects and programs. Satellite technology has been playing an important role for the socio-economic transformation of countries since its advent. Satellites have got diverse applications to alleviate the prevailing problems of our world and have greatly changed the dynamics of the world. Using this potential to change our country is not a choice rather a must. Despite the huge financial investments needed to develop the associated technology, a big effort is underway at national level to speed up the development, adoption, and implementation of the technology. In this regard, the directorate is conducting a series of researches for the development and implementation of the technology within the country for its varied applications. It is pursuing researches with a focus on the development of micro to medium scale satellite systems and satellite data receiving ground station systems. The directorate will also responsible for in orbit operation of satellites launched by the institute and other international partners. Conducting satellite data users need requirements, preparing functional specifications that meet users’ requirements, conducting feasibility study and propose project plans with technical and financial requirements based on need assessments conducted. In today’s world satellite technology has become an essential tool to combat the challenges of modern life. Among the important applications of satellites are telecommunication, earth and space observation, global resource monitoring, military observation, global positioning system (GPS), microgravity science, disaster management, mapping, agriculture and forestry and many others. The development of this ground station will enable the reception of data from different earth observation satellites in orbit. So far our country didn’t have its own satellite but other developed nations have already launched thousands of satellites for different applications. In this project we are working to develop only the ground segment to get access to earth observation satellite data from satellites launched by other international partners. By building the ground segment we will be able to meet the immediate need for earth observation satellite data in the country for different applications until the country launches its own satellites. Our institute has started the preliminary designing of a micro-sat system in cooperation with Chinese partners which will be used for earth observation applications. The satellite will be operational in a sun synchronous low earth orbit with mission duration of more than two years. The satellite will enable the reception of earth observation data over the territory of our country which will be used for different application services such as agriculture, land use management, water resource monitoring, vegetation cover mapping, disaster management and other similar applications. Considering the country’s demand for telecommunication applications, the institute has started the development of a communications satellite. The development of this satellite will enable the country to benefit from the many services that a communications satellite can provide like Direct to Home (DTH) TV broadcasting services, high throughput data services, VSAT educational multimedia services, mobile and telephony communication systems. The development status of the satellite is currently at the early stages where feasibility study is has been completed and technical proposal evaluation is underway. The official launching of the project is expected to be in the very near future. Space Surveillance denotes the task of systematically surveying and tracking all objects above a certain size and maintaining a catalogue with updated orbital and physical characteristics for these objects. Space Surveillance is gaining increased importance for the safe operational life of spacecrafts, for example, for the avoidance of collisions with space debris. Space Surveillance also provides the basic information for the characterization of the space debris population, for establishing space debris models, and for performing associated risk assessments. Space surveillance provides an independent capability of determining the trajectory of a re-entering object and of supporting the assessment of risk on ground. The main objective of the proposed research is to come up with solutions to predict when and where a decaying space object will re-enter the Earth’s atmosphere, prevent a returning space object, chart the present position of space objects and plot their anticipated orbital paths. To realize this project the existing telescope infrastructures of Entoto Observatory will be used. The concept of ground station time-sharing started to effectively use an available ground station resource by letting other satellite operators to use the ground station to do their tasks when a ground station a free time. In principle a particular earth observation satellite ground station will be busy in receiving real-time data when the satellite passes in the field of view of the ground station. When the satellite is below the horizon (field of view a ground station), the ground station is free to do tracking purpose for other satellites. Hence, other satellite operators will be able to task their satellites using our ground station as they pass over our ground station to download real-time data and also upload Tele-commands to task their satellite to take images over a target area. When satellite operators use the ground station on a time sharing basis, they will be charged for the amount of time they use on our ground station. 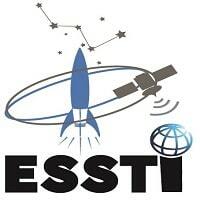 By doing so, ESSTI will be able to maximize the return on investment of the ground station by letting other satellite operators use the ground station. Receive APT (Automatic Picture Transmission) signals from the NOAA Weather Satellites (NOAA-15, 18, and 19) flying overhead. National Oceanic and Atmospheric Administration (NOAA), which is an American scientific agency that focus on the conditions of ocean, major waterways and the atmosphere, provides timely access to global environmental data from satellites and other sources for weather and ocean observation and forecasting, climate monitoring and other environmental applications. NOAA satellites detected drought conditions in part of Kenya, Ethiopia and Somalia for the sixth year in a row. NOAA-15, NOAA-18 and NOAA-19 , which are at sun-synchronous orbit, are the current operational satellites transmitting the RHCP (Right Hand Circular Polarized) signals on the frequencies of 137.620 MHz, 137.9125 MHz and 137.100 MHz respectively. Hence, NOAA satellites can be used to predict the weather conditions in Ethiopia and the surrounding region. If we built a ground station which will enable us to receive data from NOAA satellites, we can provide a near real time data to our government sectors working on the prediction of weather conditions. Set site selection criteria: The procedure to determine where each Earth station is to be located is generally known as the “site selection” process. Ground station provides the means and resources to manage and control the missions, to receive and process the data produced by the instruments. This activity must be done during the very first phase of the implementation of the project. In order to decide or to compare several locations for building ground station, criteria must be set with their rigorous analysis and evaluation. Site selection involves all the parameters to ensure the feasibility to build the ground station in a specific area by identify potential ground station sites in Ethiopia.